The Convergence-funded business growth programme, GetSet for Growth, has been proclaimed a resounding success, after hitting all of its targets. The investment readiness service draws to a close this month and programme director, Matt Giles, said: “I am very proud of what the GetSet team have achieved in such a short space of time. “The impressive results from this pilot programme have proven, without doubt, the need for investment readiness support for SMEs in Cornwall and the Isles of Scilly. 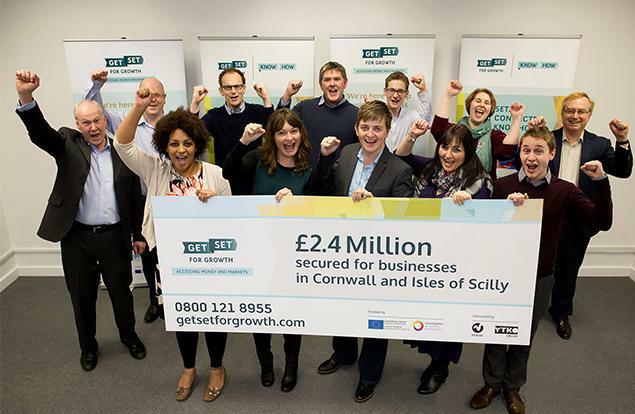 To date, GetSet has helped to secure over £2.5 million of finance for SME businesses in Cornwall and Isles of Scilly. John Peters, MD of the South West Investment Group, added: “GetSet has provided a missing piece in the business support jigsaw by providing hands-on investment readiness support to those small businesses that have potential and ambition, but lack experience and resources.